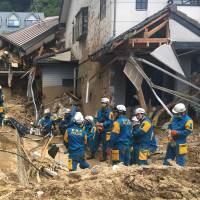 The government has decided to spend ¥105.8 billion to finance reconstruction measures in areas that were hit by last month’s rain disaster. The decision, made at a Cabinet meeting Friday, will tap reserve funds set aside under the fiscal 2018 budget. 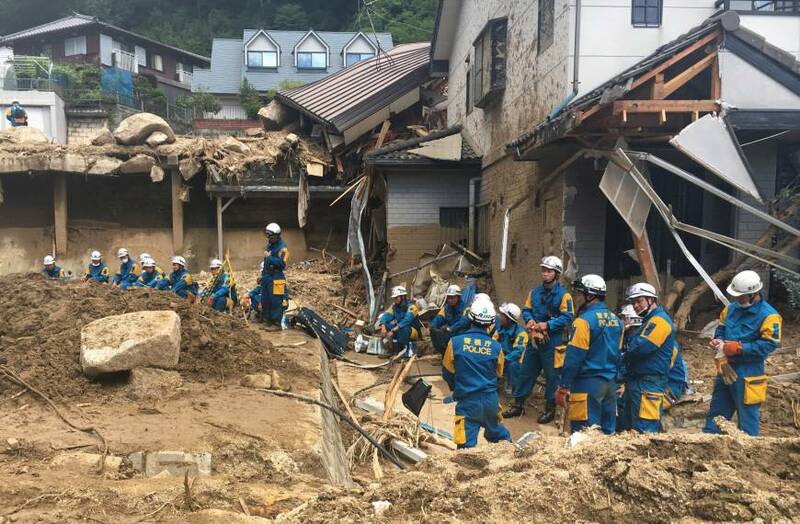 It will mark the first provision of full-fledged state support for the damaged areas, which are mainly in western Japan. The government will consider additional aid while speeding up work to confirm the extent of the damage. Of the total, ¥16.2 billion will be used to help those displaced rebuild their lives, including for a program to remove disaster debris. Some ¥61.1 billion will be earmarked to support the recovery of small businesses and counter misinformation that could damage tourism. Another ¥26.9 billion will be used to provide temporary housing and cover the cost of dispatching the Self-Defense Forces, while ¥1.6 billion will be assigned for emergency work to repair river facilities. The government earmarked ¥350 billion in reserve funds for the year ending in March 2019. After the reconstruction cash and other money is used, the balance will be ¥241 billion.